Denise Fawcett, Restructuring and Insolvency Partner, said "The payment of dividends is not always challengeable. If a company has distributable reserves then dividends can be paid. Of course, the company’s debts need to be taken into account and that includes the pension scheme. Prior to 2005, companies only had to achieve a “Minimum Funding Requirement” when funding a scheme. The law changed in 2005 and that change in legislation has seen funding requirements rise and deficits appear where they previously did not. From the news reports it seems that a large amount of money appears to have been extracted just before this change occurred, which may not be a coincidence. However, a company is only obliged to pay to a scheme what it agrees with the Trustees of the scheme to pay. Unless anyone has acted to the detriment of the scheme, there may not be legal grounds on which anyone can be forced to compensate the scheme, though political pressure and reputational damage may be enough to encourage a voluntary payment. When Sir Philip Green bought BHS in May 2000, he insisted it would not be rocket science to revive the ailing high street retailer. But last year, after failing in his mission, Green sold BHS for £1 to a little known group of investors who have steered it into collapse in just over 12 months. 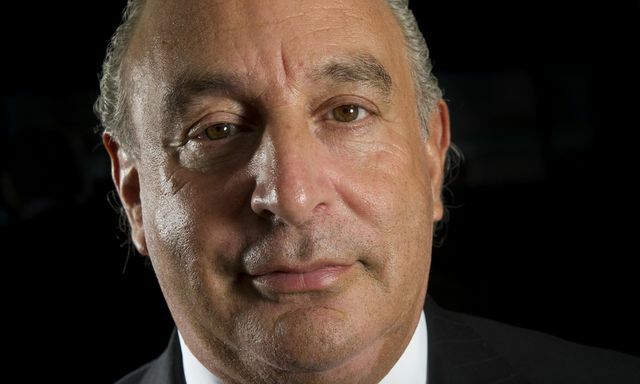 His dreams for the chain may have come to nothing, but Green’s family have still been big winners from BHS, taking out more than £580m in dividends, rental payments and interest on loans to help fund a lavish lifestyle. As the pensions regulator considers whether to pursue Green for between £200m and £300m – to help fill the black hole in BHS’s pension schemes that had developed since 2000 – he is awaiting delivery of his latest toy: a $150m (£100m) superyacht named Lionheart.